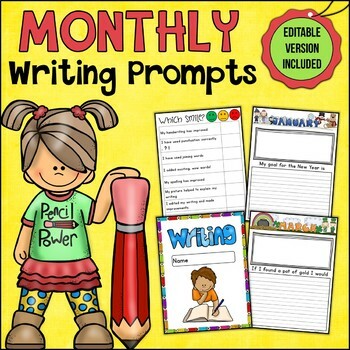 I created this Monthly Writing Prompts Progression pack primarily to observe the progress of my students throughout the year. 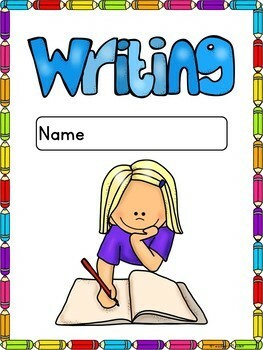 The prompts are designed to be used without any preparation beforehand. Each month should show some progress. 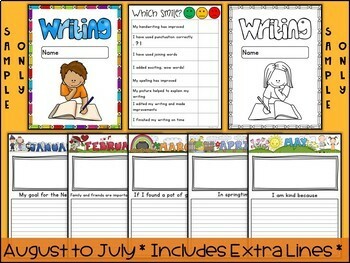 The prompts are designed to be as simple as possible to allow for a variety of answers. I staple the sheets to make a workbook and by the end of the year, I have a complete workbook of evidence for my literacy coordinator. 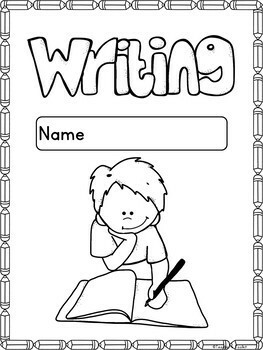 Obviously students will be much more creative when they are prepared for written tasks, however the idea of the prompts is to challenge students, very much like unseen text when reading. Many schools finish between the months of May and July. For this reason, I have provided alternative text for these months - just choose the correct printing options for your needs. NB: This product is not meant to be a substitute for planned writing lessons, but could be used by a stand-in teacher in the case of emergencies! !